Awesome! Check your phone for your download link. Scoop brings together co-workers and neighbors who are going the same way. Scoop carpoolers enjoy meeting new people and making the most of their time. Scoop partners with competitive employers to enrich the lives of their employees. Download and meet Scoop carpoolers who are heading the same way. Get free Carpool Credits when you choose Scoop. Separate AM and PM trips to fit your unpredictable work schedule. Ride or drive to meet your daily needs. 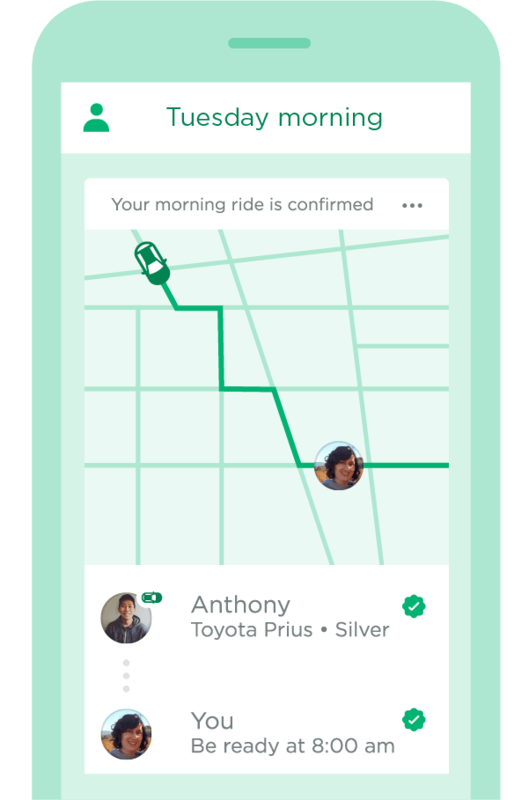 Scoop’s algorithm identifies the most efficient trip based on the fastest route, nearby carpoolers, carpool lanes, and more. Meet new people, have more energy every day, and make the most of your time. Vehicle history checks on every Driver. Feedback on every trip. With a guaranteed ride home, you can rely on Scoop every day. Door-to-door pickups, efficient routes, and payment right in the app. Do you represent Human Resources or Facilities? 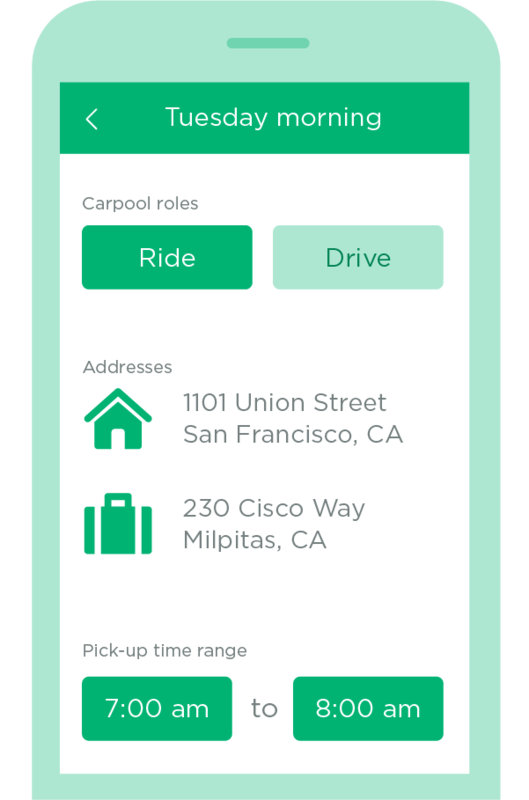 With the Managed Carpool Program, any employer can implement an impactful commute solution for their company. Dramatically improve your commute. Download now.